Ultrasound imaging, including advanced imaging services such as pulsed-wave and color Doppler imaging, allow you and your doctor to see your baby before it’s born. 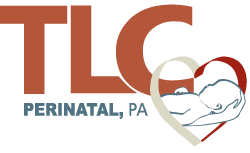 The team of expert maternal-fetal medicine specialists at TLC Perinatal PA in Silver Spring, Hagerstown, and Germantown, Maryland, are committed to providing state-of-the-art testing and consultation. They offer cutting-edge pulsed-wave and color Doppler imaging to give you and your obstetrician the most precise and most informative images possible of your unborn baby. Get a referral and then call or schedule your appointment online. What are pulsed-wave and color Doppler imaging? Pulsed-wave and color Doppler imaging provides detailed images of your internal organs, including your blood vessels. Unlike other types of ultrasound imaging, Doppler uses short bursts of ultrasound to create a 2D display of blood flow. Why would I need pulsed-wave and color Doppler testing during pregnancy? Doppler testing uses higher-intensity soundwaves, creates images of blood flow and movement within your body. This testing can show your MFM specialist if cardiovascular issues are affecting you or your baby or if there is an issue with the umbilical cord. Doppler imaging shows the flow of blood, oxygen, and nutrients through the umbilical cord. It can also be used to listen to and evaluate the heartbeat and blood flow in the heart of your baby. What should I expect during pulsed-wave and color Doppler testing? A pulsed-wave and color Doppler test is similar to a traditional ultrasound. Your MFM specialist will instruct you on how to prepare. During the imaging study, you recline on a treatment table with your clothing adjusted to reveal your abdomen. Your imaging technician applies a clear gel to your skin, which helps the sound waves travel through your body. Then they glide a hand-held transducer over your skin. The transducer sends the pulsed sound waves through your body, collects them as they bound back off of your organs and your baby and send them to the computer equipment where they’re converted into images. Pulsed-wave and color Doppler testing is completely noninvasive and painless. The advanced equipment provides detailed information about your blood flow and the movement of nutrients through your baby’s umbilical cord. Is pulsed-wave and color Doppler testing safe for my baby? Pulsed-wave and color Doppler testing is safe. While the Doppler equipment creates a slightly higher thermal effect than traditional ultrasounds, the doctors at TLC Perinatal PA believe that the information provided outweighs the minimal risk of the test. If you need advanced imaging studies to monitor your pregnancy, have your obstetrician refer you to TLC Perinatal PA, then make an appointment by phone or online.